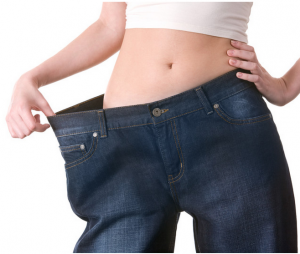 With the help of a calorie restricted diet, the HCG diet promises to help people lose up to several pounds a day. Before answering the question “is the HCG diet safe”, it’s important to distinguish that not all HCG is equal. The safety of the diet depends highly on the quality of the HCG formula. There’s over-the-counter HCG, and there’s prescription-grade HCG. Let’s go over the differences between both. Over-the-counter HCG is not regulated by the Food and Drug Administration (FDA). With that being the case, when you buy HCG formulas from health food stores you have no way of knowing how much of the active ingredient is in the product, or if it’s even in there at all. Unlike over-the-counter HCG, prescription-grade HCG is regulated by the FDA, although it’s interesting to note that it was originally approved for infertility treatments. Since it was approved for anything at all, there’s nothing stopping doctors from prescribing it for other purposes, such as weight loss. Taking prescription-grade HCG also allows you the opportunity to have your treatment monitored by health professionals. I strictly believe the HCG diet is only safe when under supervision. To sum up the section above, the HCG diet is only safe when taking prescription-grade HCG under medical supervision. It’s so important to be supervised throughout this diet because of the potentially dangerous side effects associated with rapid weight loss. Routine follow ups are necessary to keep an eye on side effects, and supplements may also be recommended to moderate risk factors. In most cases people are screened before determining if they’re even a suitable candidate for the HCG diet. The reason why HCG diet side effects need to be monitored is because they could potentially include a risk for blood clots, headaches, gallstones and if a person is an uncontrolled diabetic or has heart rhythm disturbances, these conditions could worsen. .
Further, since HCG treatments for weight loss is a relatively new procedure, it’s not known whether any long-term side effects exist. Another reason why side effects need to be monitored is because there’s an even greater risk factor when you take into account the extreme calorie restrictions of the HCG diet. HCG is touted for its ability to suppress the feelings of hunger and fatigue that comes with eating fewer calories. That makes it tolerable, but it’s still important to be monitored when on a diet recommends between 500 and 550 calories per day. These low calorie diets have been around for a long time with or without HCG and have been shown to be safe under medical supervision. So, is the HCG diet safe? It is as long as a few requirements are met: get screened first, use prescription-grade HCG, have regular follow ups to keep an eye on side effects. To ensure that you’re following the HCG diet safely, click here to view my HCG diet for weight loss services and contact me for a consultation.